Newbie to the forum with a weed identification question! 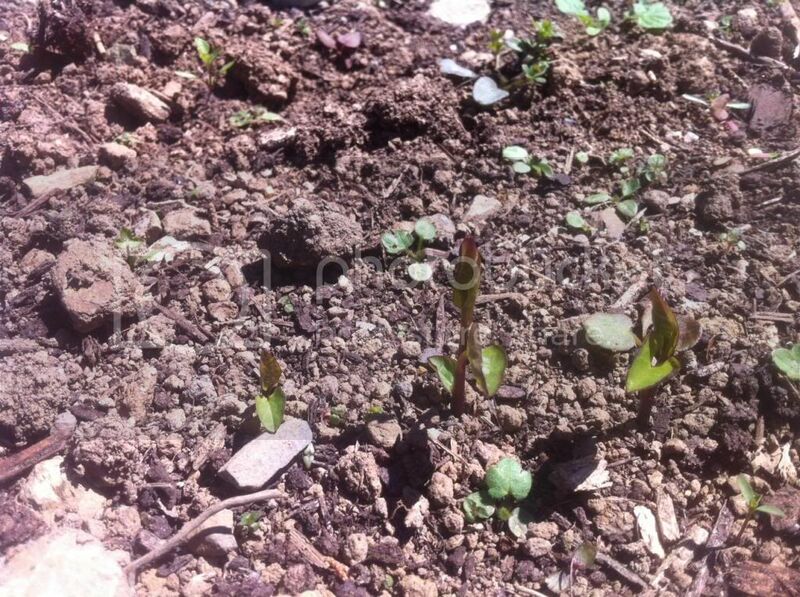 Posted: Sun May 19, 2013 12:58 pm Post subject: Newbie to the forum with a weed identification question! Hi everyone, I have just joined! have just moved into a house with a good bit of space around it and have been working hard for the last few months to get some sort of shape on it, to say it was (and still is) weed heaven would be an understatement. I read lots of advice here and tried to follow it on pulling out weeds at the roots etc and am making some progress... 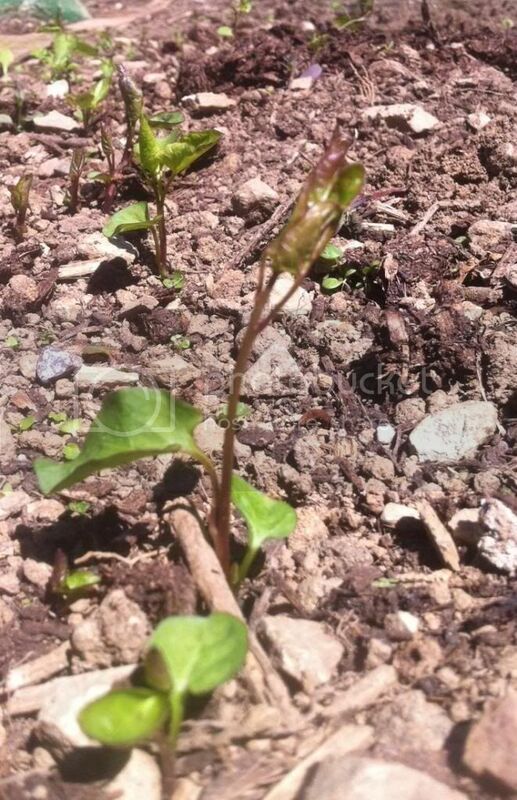 HOWEVER, my scaffolding and soil arrives tomorrow for my raised beds and the area where I am planning them has suddenly become COVERED in one particular weed seedling, it has also infested my small weed bed, am terrified it might be bind weed but am praying I am wrong......... I attach some pictures of what i think are it's various stages of growth and would be so grateful if you could help me identify it and advise me on what to do ahead of my raised bed building tomorrow! PS I hope I have done the photo thing right as I am new to all this. to me it looks like it verydifficult to eradicate. Best thing to do is grass area and forget about planting crops for a year or two. thats organic way otherwise go for our friend Roundup. thanks for the reply greengage, do you mean you think it is IS bindweed? oh no, this is awful news I am a novice gardener and have been so excited about getting all my lovely seedlings which I have grown and am growing in my greenhouse down, my soil and scaffolding is arriving tomorrow and I have put so much effort in at this stage I would be devastated to stop in my tracks now. I dont want to use roundup as am trying to have an organic garden, are there ANY other options for me do you think? could i put plastic at the bottom of my raised beds? thanks again for your advice! You could try using a Membrane...the Earth you use to fill the Bed ought' to suffice for your planting...if you use plastic your going to have to perforate it to allow excess water seep out thus defeating the very purpose. PS...It has all the appearance of Bind Weed....sorry. Any good Hardwear Store...or B&Q will have what your looking for they are usually all good brands...if your building more than one Bed get all the Membrane at once...the longer the roll the cheaper it is. Remember that the Roots can be anything up to 18-24 inches long on those pests and you have to remove all of it. Personally, with a pest like bindweed to cope with, I'd go the roundup route until it is eliminated, using membrane under the beds. I'd let the bindweed grow for a week or two, so as to increase the surface area of leaf available to absorb the weed killer and then let the blighters have it, with both barrels, so to speak. If it is bindweed and you've done a lot of clearing it will come up from nowhere. Also as you say if you rotavated you only want the smallest pice of root and it will take over. I would also use roundup to eliminate it then you can go organic. I'd also use glyphosate. If you really don't want to, you could use a flame gun/weed wand, which will work in time, but all that propane isn't particularly green either! would solarising the soil be worth trying?